Recruiting the best people is no picnic. Companies need top talent in order to survive and thrive in today’s tough economy. We all need a little advice and guidance from time to time, especially when times are tough. 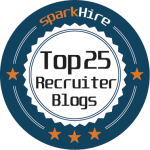 We’ve already shared our Top 25 Must Read Blogs for Employers, but the game can be a bit different when you’re a recruiter. 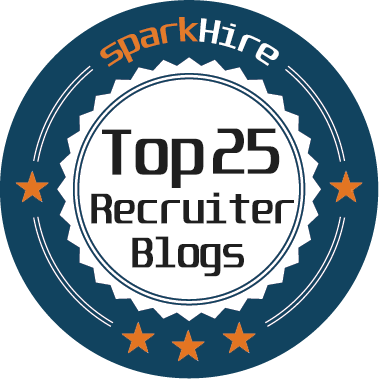 That’s why Spark Hire has put together this list of the Top 25 Must Read Blogs for Recruiters. These sites are filled with advice, robust discussions, and even a bit of lighthearted fun. 1. Talent HQ is the place to turn when looking for the latest and greatest news in the world of recruiting. 2. Recruiter.com is the place to go for top-notch thinking about the issues facing recruiters and tips and tricks for finding talented candidates. 3. The Recruiter Guy, aka Chris Hoyt, shares quality insights on how to utilize social media to find top talent. Your next great candidate could be only a tweet away! 4. Recruitment Views will keep you up-to-date on the world of recruitment. The site is full of timely information and articles with a strong point of view. 5. The Recruiters Lounge is run by recruiter Jim Stroud, who offers career advice and a platform for recruiters to share knowledge. This is one lounge you will definitely want to visit. 6. Recruiting Animal Looking for a great mix of podcast and blog posts on the recruiting field? Recruiting Animal is the beast you’re looking for. 7. Staffing Talk is a general recruiting blog that deals with everything from social media recruiting to the interesting news of the day. 8. The Marketing Recruiter isn’t just for marketers! Blogger G. Robert Bishop and his readers share top-notch insights into the hiring process. 9. Recruiting Blogs is a great place to find a variety of perspectives from a wide-ranging and knowledgeable field of contributors. When looking for a variety of great recruiting content, you couldn’t do much better than Recruiting Blogs. 10. Recruiting Unblog is the (un)blog of Bill Boorman who shares knowledge about using the web and social technologies to find great candidates. 11. The Marketing HeadHunter is the place to go if you’re looking to fill a position in the marketing or social media field. This blog is full of useful information on what to look for and where to find the best candidates for these positions. 12. The Dean Da Costa Blog is full of relevant and sometimes controversial issues facing recruiters today. The site doesn’t shy away from tackling the issues, making it a must-read. 13. Past Five is a great blog for tips, tricks, and advice about everything from career development to recruiting best practices. Just because it’s past 5 pm doesn’t mean you should stop gaining knowledge! 14. Marenated is a blog with a strong voice not afraid to have a little fun. Whether she’s talking about recruiting, technology, or marketing you can be sure the content will be entertaining and informative. 15. Top Echelon Blog offers great information on the issues of the day and how to find the perfect candidate to fit into your organization. 16. Source Con is the blog for you if you’re looking for top-quality news and thought leadership about finding and sourcing great talent. It’s also a great outlet to turn when looking for information on the newest recruiting technologies in the online space. 17. Talent Minded is a great outlet for advice when it comes finding top talent. Best of all, the site has tons of useful information about using emerging technology and social media techniques to help you find and source great candidates. 18. Marcom HRsay is a top B2B blog focusing on tips and tricks for enterprise recruiting for small and midsize companies. If you’re looking for great information on business development for businesses of all sizes, Marcom HRsay is the place to go. 19. Make HR Happen by Tom Bolt looks to rehumanize the human resources and recruiting field by looking critically at how to find the best people. Whether it’s talking about using technology or the importance of paying dues, this blog is a great resource for recruiters. 20. Recruiting Trends offers top thought leadership content with knowledgeable contributors weighing in on the major trends in the recruiting field. And it’s not just blogs, the site is also a great place to learn thanks to frequent webinars aimed to help professionals keep their edge. 21. Lance Haun is the place to go if you want to read entertaining and insightful commentary on the recruiting issues of the day. Haun’s style is straightforward and compulsively readable, which is why you should bookmark this blog immediately. 22. Recruiters Wall is the place to visit is you’re looking for straight talk about today’s top recruiting issues. The site has a variety of smart and thought provoking contributors weighing in on what’s happening in the recruiting and hiring space. 23. Vertical Elevation is a blog centered around hiring the right people to build a better company. The site is full of interesting content and even informative videos to help you find and identify the best candidates. 24. Impact Hiring Solutions Blog takes on recruiting and managing top candidates in order to get the most out of your hires. The blog is full of thought provoking content and tips on how to hire better and keep those employees as productive workers. 25. Human Capital Strategy Blog is the place to go when you not only need to recruit , but also improve the way your company handles employees. The content of this blog is centered around finding employees who will fit into your company culture and thrive in your workplace environment. While there are many great blogs for recruiters, these 25 top off our list of “must reads.” They offer valuable information and unique content, have many followers, and promote meaningful discussions. What do you think? What other blogs are a ‘must read’? Claim your badge! Copy and paste the snippet of HTML code from the text box below into your blog’s sidebar! Enjoy this list? Check our list of the best blogs for job seekers! Are Job Fairs Worth it For Your Company?